QUETTA, April 12 (INP): At least 20 people were killed and several others got injured on Friday in a blast at Quetta’s Hazarganji Sabzi Mandi. 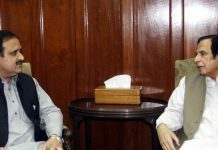 DIG Quetta Abdul Razaq Cheema confirmed the casualties and added that eight of the victims were belonging to the Hazara community. After being informed about the incident, the rescue workers reached the spot and moved bodies and injured to Bolan Medical Centre. Security forces have cordoned off the site of the blast and collected evidence. According to the police, buildings located nearby were also damaged in the blast, however the nature of the blast could not be ascertained. Prime Minister Imran Khan has denouncing the attack has asked concerned authorities to provide medical facilities to the injured. The Premier has also sought inquiry report into the incident. 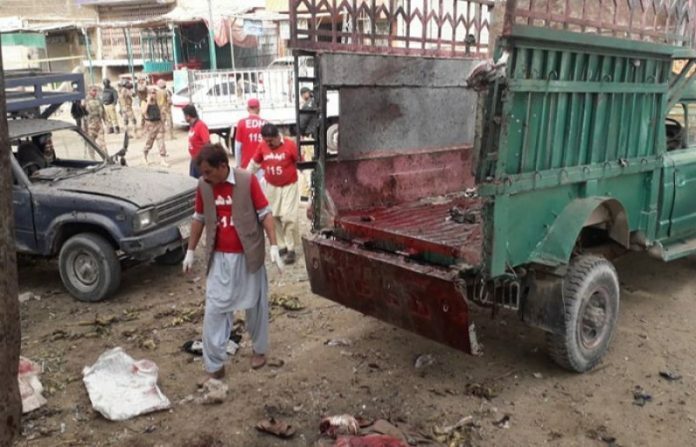 Balochistan Chief Minister Jam Kamal Khan has strongly condemned the blast and extended his condolences with the bereaved families. The culprits involved in the incident will be brought to the court of justice, he vowed. He also directed health department to provide best facilities to the injured. Last year, in the month of April, five policemen had embraced martyrdom while eight Frontier Corps personnel were injured after a series of blasts in Balochistan province’s Quetta city.